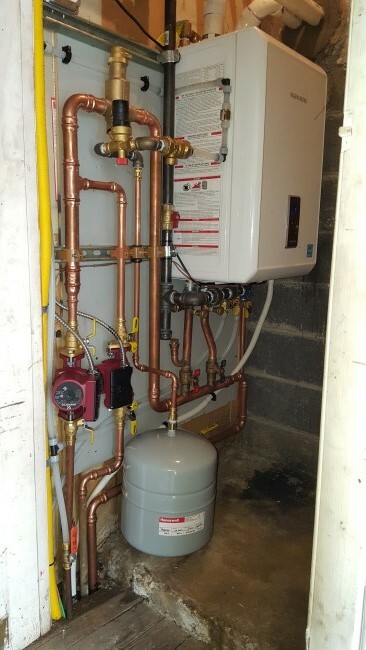 This is an oil to gas conversion in a neighborhood with new natural gas mains being dug giving residents access to one of the most economical fuel sources available. We are a Central Hudson Gas and Electric Blue Shield Trade Ally which gave our customers access to the best incentives available from the utility company for converting to natural gas. 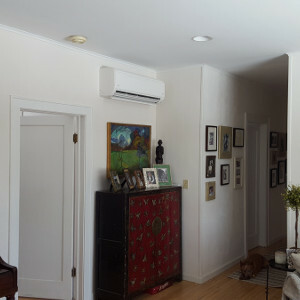 Our client built a 2 room addition to there home and we were able to meet there budget and comfort needs with this 2 in 1 Ductless Hyper Heat Pump System. This unit provides heating down to -22 degrees and provides variable speed high efficient cooling for both rooms individually. This system will work great with solar electric in the future as well! 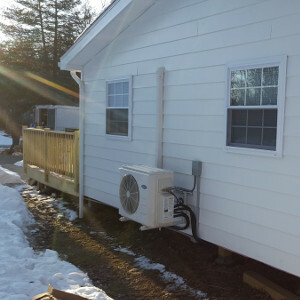 If you have questions about our recent projects, please call our heating & air conditioning company at 845-399-0669 or complete our online request form.